What is the IB program at schools and is my child right for it? The alternative option to the HSC most parents don't know about. My firstborn is off to school next year and my type-A personality has had me investigating all the curriculums on offer to give him the best chance of growing into a happy and well-adjusted adult. With our world more interconnected that ever, I was pleased to find that there are options for parents who want their kids’ education to have a more global focus. And one acronym that keeps cropping up is ‘IB’. The International Baccalaureate (IB) Diploma is a global alternative to state curriculums like the Higher School Certificate (HSC). 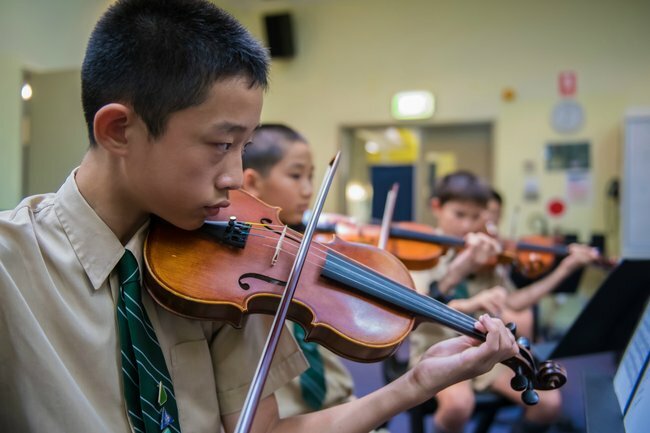 Over the last decade, it has become increasingly popular in Australia because of its multicultural outlook and the way it encourages independent learning. While we’re at the start of my son’s schooling, I think it’s great that I can opt for a curriculum based on his learning style, skills and personality traits as the IB offers a Primary Years Programme (PYP) from Pre-Kindergarten to Year Six. Because for us, it’s not just about supporting him in his academic pursuits but also encouraging him to develop an understanding and appreciation of the diverse world around him. I know what you’re thinking – how exactly is the IB curriculum different to the State curriculum? Let’s take a look at an example. Trinity Grammar School, an Anglican boys school in Sydney, is one school that offers the IB programme. The school aims to develop inquiring, knowledgeable and caring young people who want to create a better world through intercultural understanding and respect. But they also recognise that different curriculums suit different types of learners. From Pre-Kindergarten to Year Six, Trinity adopts the IB Primary Years Programme (PYP). In Years 11 and 12, students can either choose to study the HSC or the IB Diploma programme. Whether your child elects to graduate with the HSC or the IB Diploma, Trinity’s IB PYP is an excellent preparation for both because it encourages critical thinking and self-motivation from a young age. IB Diploma students are encouraged to drive their own learning, reflect on the nature of knowledge and undertake independent research. They become more culturally aware by learning a second language and become more community-minded by undertaking a project that often involves a community service. With a focus on academic breadth rather than specialisation, IB Diploma students can select from six subject groups: studies in language and literature, language acquisition, individuals and societies, sciences, mathematics and the arts. Within these groups, a variety of subjects are available with Trinity offering one of the widest selections nationally. For example, under language acquisition your son could choose from French, German, Japanese, Latin or Mandarin. A lot of parents look at the league table of HSC results in the newspaper and use a school’s ranking to decide the best school for their child. I’ve realised that’s not always the best way to go about it. You see, the league table doesn’t take into account the results of Year 12 IB Diploma students and up to half of the school’s students may have elected to do the IB Diploma instead of the HSC. At Trinity many of the IB students achieve outstanding results, like Aruren Ravichandran, who achieved the highest IB score of 45 (equivalent to an ATAR of 99.95) and is now studying a double degree in Commerce and Law at the University of Sydney. If your child elects to study overseas, the IB Diploma is recognised at the most prestigious international universities, with a recent Trinity graduate being awarded a four-year scholarship to Columbia University, an Ivy League University in New York City. It all sounds great but how do you know if the IB is suited to your child? The IB PYP is built on learner profiles and offers a framework that meets the academic, social, physical, emotional and cultural needs of each child. In Years 11 and 12 the IB Diploma requires motivation, self-discipline and hard work. It’s ideal for students with a natural inclination to challenge local and global concepts while remaining open-minded and reflective. It is suited to ‘all-round’ students as there are a variety of compulsory subjects. Over two years in the IB Diploma programme, your child will continually build on their knowledge and they’ll be required to complete an Extended Essay and theoretical reflection – great preparation for university if that’s the path they decide to take. Ultimately, the decision to take the IB or State curriculum in Years 11 and 12 comes down to personal preferences. 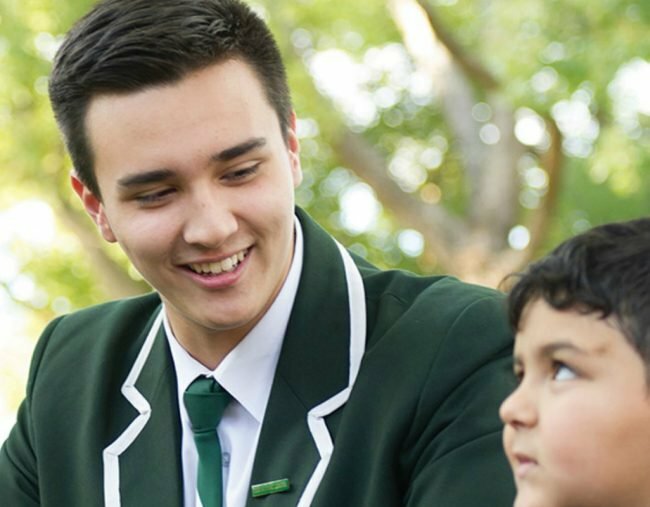 At Trinity Grammar School, the staff recognise the merits of both the IB Diploma and HSC and are happy to offer guidance based on the child’s learning style. As for my family? It&apos;s too early to tell, but I&apos;m thrilled to know that there are educational options out there that help kids adapt and thrive in an increasingly globalised world. Because it’s not always about picking the most familiar option. It’s about finding the curriculum best suited to your gloriously unique child. To learn more about the PYP and IB Diploma at Trinity visit trinity.nsw.edu.au or to register for one of their open days. This content was created with thanks to our brand partner Trinity Grammar School, Sydney. 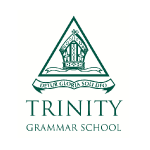 For over a hundred years Trinity Grammar School has educated boys in mind, body and spirit, and we are constantly evolving our teaching methods to ensure our boys receive the best education possible. To learn more about the PYP and IB at Trinity visit trinity.nsw.edu.au or to experience the Trinity difference register for one of our open days.